Inside the Dundee Endoscopic Psychomotor Tester showing a special target plate and the optical and illumination setup used for the study. Hypothesis A shadow-inducing laparoscopic system improves task performance. Design Experimental study was carried out using the Dundee Endoscopic Psychomotor Tester for objective assessment of task performance. The standard exercise consisted of passing a probe through 37 holes on the target plate in a random order. Shadow was induced by using separate ports for illumination and imaging of the target plate. Light direction–to–target (LDT) angles of 90°, 75°, and 60° were investigated with each of the 90° and 75° optical axis–to–target view angles. Setting Research laboratory at the Surgical Skills Unit, Ninewells Hospital. Participants Twenty medical students with no previous exposure to laparoscopic surgery. Main Outcome Measures Success score, execution time, the force applied on the target, and angular deviations of the probe. Results With a 90° optical axis–to–target angle, there was improvement in the success score using either 75° or 60° LDT angles compared with a 90° LDT angle (P = .02, P = .01, respectively), but the execution time became longer (P = .008, P = .03, respectively). With a 75° optical axis–to–target angle, there was improvement in the success score (P<.001), execution time (P<.001, P = .03, respectively), and horizontal and vertical deviations (P<.001) on using either 90° or 60° LDT angles compared with a 75° LDT angle. Conclusion Endoscopic task performance significantly improves with a system that provides illumination and shadows in the operative field. IN THE 1950s, there were 2 milestone inventions in the evolution of endoscopy: the rod lens system by Hopkins1 and the fiberoptic light-transmitting system,2 permitting efficient internal illumination of body cavities from an external light source by total internal reflection within the glass fiber bundles. These 2 components have since been incorporated into all rigid endoscopes in which the light surrounds the objective lens so that light direction and optical axis subtend the same angle to the target plane. This assembly ensures good illumination of the field of view even when the endoscope is moved. However, this configuration produces a shadowless image. In laparoscopic surgery, the rigid endoscope with coaxial optical and light configuration is coupled with a charge-coupled device camera to provide a 2-dimensional (D) image of the operative field. The surgeon thus depends on monocular depth cues to reconstruct the 3-D anatomy. DEPT to endoscopic surgery include use of standard videoenShadows constitute important monocular depth cues, and herein lies the problem with the current laparoscopes—the 2-D images they provide are totally devoid of shadows and thus contribute in part to the degraded visual information presented to the surgeon in minimal access surgery. This problem was investigated in the present study in which the coaxial alignment of the imaging optics and the light bundle (shadowless illumination) was compared with an experimental system in which the 2 components were offset to produce illumination with shadowing. The experiments were conducted using a psychomotor tester developed at the University of Dundee. The standard task consisted of insertion of a 5-mm probe by the participant through a series of circular holes on a target plate. An endoscope connected to a display system provided the visual interface between the surgeon and the target field. The target consisted of front and back plates with a fixed distance between. The plane of the front plate was tilted 10° to the vertical plane, and the probe approached the front target plate in a perpendicular fashion to any point. The front plate contained 37 holes (arranged in 5 horizontal and 9 vertical lines) with equal distance between the holes to give an incremental increase of 3°. The order in which targets were presented for each run was by random sequence generated by the system software. Starting from the backstop position, the operator had to aim the probe at the center of the target and then advance the probe through the center of the hole until it touched the back plate. Probe contact with the back plate was used to record the completion time of an individual target hole. An error was registered by the system if contact was made between the probe and the rim of the hole or if the subject exceeded 10 seconds to complete one target hole. The number of successful holes for a complete run determined the success score. The system also measures angular deviations of the tip of the probe in relation to the center of each target hole. Deviation angles are measured on an arbitrary scale of 0 to 4095, with approximate values for angles/unit of 0.005° per unit. Angular deviation data are recorded at intervals of one tenth of a second throughout the probe movement to provide the flight trajectory of the probe. The outcome measures were execution time, the force applied on the back plate, average deviations of the probe, and success score. A 2-D system (Karl Storz, Tuttlingen, Germany) was used that consisted of Hopkin's II 0° endoscopes (model 26003AA; Karl Storz) and a Telecom single chip camera (model 20210030; Karl Storz). A halogen light source (coldlight fountain, 450 V) was connected to the endoscope using a fiberoptic light cable 4.8 mm in diameter (model 495NB; Karl Storz). The image was displayed on a Sony monitor (model PVM-14043MD; Sony, Tokyo, Japan). Optical axis of the endoscope refers to the axis at the center of the visual field. The optical axis–to–target (OAT) view angle is the angle between the optical axis of the endoscope and the target plane. Direction of view of the endoscope is the angle between the optical axis and the longitudinal axis of the endoscope. 0° Direction of view endoscope is a forward-viewing endoscope, whereas oblique-viewing endoscopes may be 30° or 45°. Three light direction–to–target (LDT) angles (90°, 75°, and 60°) were investigated with each of the 90° and 75° OAT view angles. Three forward-viewing endoscopes (0° direction of view) were introduced into the DEPT from the front and to the right of the target plate along the horizontal so that the physical axis subtended 90°, 75°, or 60° to the central hole of the plate, with the objective of the endoscope 22 cm from this hole. For forward-viewing endoscopes, the optical axis and light direction to the target subtend the same angle as the physical axis of the endoscope to the center of the target plate. To provide the investigated angles, the fiberoptic light cable was connected to the endoscope in the position required to obtain a specific LDT angle, and the camera was attached to the endoscope in the position needed to capture the image with a certain OAT angle. For all conditions, the physical axis subtended 80° to the vertical plane at the center of the front target plate. Twenty medical students participated in the study. Endoscopic surgeons were not recruited because they are accustomed to manipulating from images produced by the current shadowless laparoscopes. Each medical student performed 1 familiarization run, followed by 1 run with each of the 6 investigated setups in random order. The run entailed 1 pass of the probe through each of the 37 holes presented in a random sequence. Participants were instructed to move the probe as quickly and accurately as possible through the center of the selected hole and to apply the least force on the back plate. Each target had to be completed within 10 seconds without touching the rim of the hole. The camera was adjusted on white balance. The center of the monitor screen was fixed at a distance of 120 cm in front of the participant at eye level. The experiments were conducted with the same background illumination and environment. All participants had 6/6-corrected eyesight OU when tested using a Snellen chart and used the dominant hand in performing the tasks. Success scores, execution times, forces, and deviations were analyzed using the Mann-Whitney test. Significance was set at P<.05. Table 1 gives the medians and interquartile ranges of the outcome measures with different illumination imaging conditions. When the same endoscope is used for imaging and illumination (the optical axis and light direction subtend the same angle to the target plate), a 90° OAT/LDT angle has a better success score (P<.001), lower force measurements, shorter execution time, and less horizontal and vertical deviation (P<.001) than a 75° OAT/LDT angle. Even on using different ports for imaging and illumination to create shadows, task performance was better with a 90° compared with a 75° OAT angle at any of the LDT angles. With a 90° LDT angle, a 90° OAT angle had a better success score (P<.01) and less horizontal and vertical deviation (P<.001) than a 75° OAT angle, but there was no significant difference in the execution time (P = .14) or the force applied on the back plate (P = .51). With 75° and 60° LDT angles, a 90° OAT angle also had a better success score, a shorter execution time, less force measurements, and less horizontal and vertical deviation (P<.005) compared with a 75° OAT angle. On using separate ports for illumination and imaging, task performance significantly improved. With a 90° OAT angle, there was improvement in the success score (P = .02, P = .03) and in horizontal and vertical deviations (P<.005) using either 75° or 60° LDT angles compared with a 90° LDT angle, but the execution time became longer (P = .008, P = .03). However, there was a significant difference only in the horizontal deviations between 75° and 60° LDT angles (P<.001). With a 75° OAT angle, there was improvement in the success score (P<.001), execution time (P<.001, P = .03), and horizontal and vertical deviations (P<.001) using either 90° or 60° LDT angles compared with a 75° LDT angle. Also, less force was applied on the target plate when a 90° LDT angle was used compared with a 75° LDT angle (P<001). In addition, a 90° LDT angle had a better execution time (P<.005), force measurement (P = .03), and horizontal and vertical deviation (P<.005) than a 60° LDT angle. There are several problems with the current method of illumination of the operative field during minimal access surgery. The configuration of the rigid laparoscope produces no shadow depth cues because the optical axis and the light direction of the endoscope subtend the same angle to the operative field. In addition, the level of illumination is not even across the operative field, with the periphery of the laparoscopic field being darker. Barrel distortion at the periphery of the field of view compounds the problem. All these adverse factors contribute to the degraded task performance at the periphery compared with the center of the operative field.6 In addition, glare white spots are generated at short distances between the objective of the laparoscope and the target, and this detracts from the benefit of the increased magnification, obtained when the laparoscope is moved toward the target. The results of the present study confirmed earlier research,6 which demonstrated that optimal endoscopic task performance is obtained when the optical axis of the endoscope is perpendicular to the target plane. This observation applies to forward- and oblique-viewing endoscopes because there is no significant difference in task performance on using forward- or oblique-viewing endoscopes as long as the OAT angle remains the same.7 Relatively small decreases in the OAT angle are accompanied by a marked deterioration in task performance.6 In clinical practice, it is easier to obtain an OAT angle approaching 90° using an oblique-viewing endoscope rather than a forward-viewing endoscope. The results of the present study also confirm that endoscopic task performance significantly improves when a shadow-inducing arrangement (separate ports for illumination and imaging) is used. The improvement was observed with 90° and 75° OAT angles. There are several implications from the results of the present study on minimal access surgery. Use of a shadow-inducing system improves task performance by novice users. 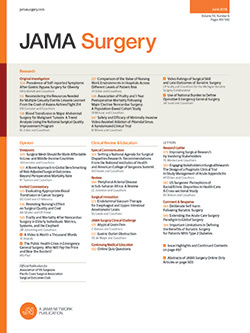 For expert laparoscopic surgeons who are adjusted to a shadowless system, use of a shadow-inducing system may reduce the mental fatigue, as the enhanced depth perception is likely to decrease the mental processing of the endoscopic image to reconstruct a 3-D picture of the operative field. The main conclusion of this study is the need for change of the current shadowless endoscopes. This can be achieved by using a single-point or multipoint illumination and image capture system. The single-point approach uses the optical port to provide illumination and to capture the image. A shadow-inducing endoscope has been developed by the Buess technology group8,9 (MGB Endoscope Co Ltd, Seoul, Korea) that uses additional illumination fibers at a distance behind the front lens resulting in an angle between illumination and view direction with shadow production. However, the angle between the incident light and the optical axis is fixed and thus so is the shadow. A better solution producing variable natural shadows requires a system that provides multipoint balanced illumination of the operative field that is separate from the imaging system contained in the laparoscope. In this context, there are 2 possible options. First, the light fiber bundles can be incorporated into one of the instrument ports to produce an illumination cannula separate from that carrying the laparoscope. The second option deploys multiple dedicated light bundles packed inside superelastic diverging shape memory alloy tubes that are housed in an overtube. The superelastic bundles are extruded to provide optimal shadow-inducing illumination once the overtube is inside the peritoneal cavity, providing "ceiling" illumination. There is no necessity for these bundles to be coherent for effective light transmission.10 The advantage of such a superelastic carrier system is the ability to change the spatial distribution of the ends of this array of bundles. This will thus enable adjustment of the light direction to achieve the right balance between uniform illumination of the operative field and natural shadow production. Further research is required to investigate different methods of shadow-inducing illumination of the operative field to achieve optimum task performance. Corresponding author and reprints: Alfred Cuschieri, Department of Surgery and Molecular Oncology, Ninewells Hospital and Medical School, Dundee DD1 9SY, Scotland (e-mail: a.cuschieri@dundee.ac.uk).